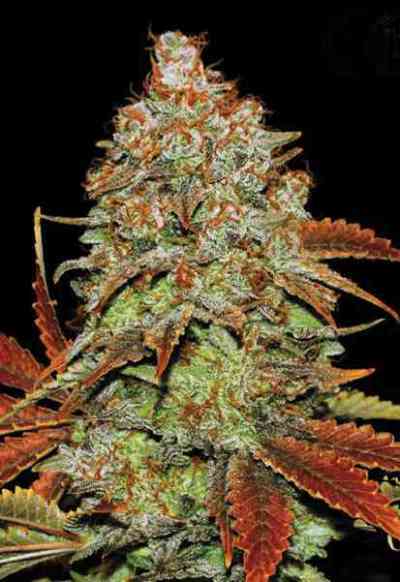 Ladyburn 1974 from the seed bank Green House Seeds is a hybrid created from two very recognized strains such as marijuana Jack Herer x Ice Dream. The result of crossing was a cannabis plant with indica character and with a touch of sativa plant. Its growth will be vigorous, with short internodal distances that will make it medium size strain, compact ideal for growing indoors with type systems SOG or SCROG cultivation. Its leaves are large, broad, dark green with hard, thick stems. In the flowering period, which will last nine weeks, it will provide very compact and resinated buds able to accommodate high THC concentrations of 21.8%, CBD levels of 0.11% and a 0.24% CBN. Outdoors you can harvest it during the first weeks of October. Its great ability to create large bunches of buds will make of this beautiful lady an extra productive strain, from which stand to reap up to 800 gr/m2 indoor or up to 1 kg/plant outdoors in optimized cultivation in all of its phases. Its smell and taste is complex, memory of the different genetic lines that make Lady Burn 1974. The effect of this great producer will be of Indiaca character offering to the consumer a relaxing effect followed by a progressive rise ideal for pain relief.